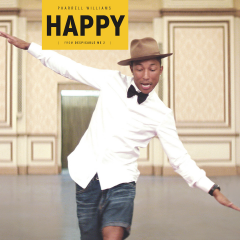 It’s hard not to dance along with Pharrell Williams in his music video, “Happy.” The feel-good song showcases people from all walks of life bopping about to Pharrell’s music and lyrics. But what’s a music video without music? House of Halo, a Netherlands-based music agency, gave it a try, editing all of the music out of the “Happy” video. Instead, you just hear the video’s sound effects, while watching everyone singing quietly or silently. Australian-radio station NOVAFM calls it a “strange watch.” There just seems to be something missing. Contrast that with the official music video. Not only is the sweet soundtrack back, but they’ve added an amazing interactive twist. The video is 24 hours long! And whenever you watch it shows you the part of the video that was filmed at your current time of day. 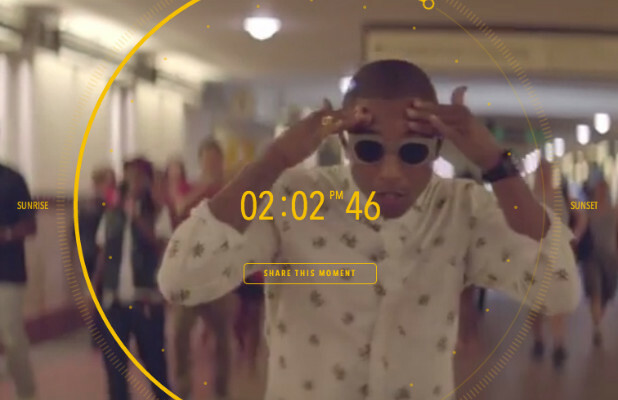 House of Halo’s music-less Pharrell video is certainly a unique viewing experience, and brings to light the larger point that without the engagement factor, web videos aren’t worth watching. Chances are, people are spending more time watching video on your website compared to anything else. Give them the engaging content they are looking for, and the ability to interact with it. They’ll get “Happy,” just like Pharrell. For helping to show the way with interactive video, and for his dazzling displays of hat-wearing prowess we give Pharrell and the whole production team behind “Happy” a big ol’ hats off.